Depression and mental illness is a tough issue and can be hard to broach with your friends and loved ones. 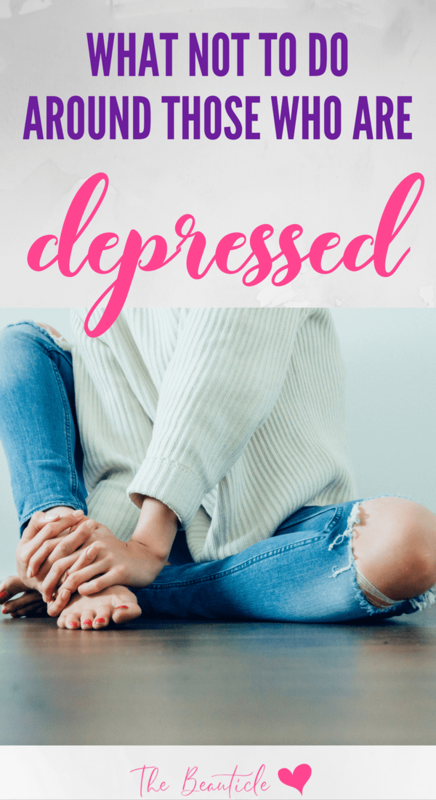 It’s commendable that you’re searching for ways to help them and this article will provide some comforting tips for those dealing with depression. Wanting to help friends or family dealing with depression is an important step as is learning how you can help them. Too many people tell depressed friends things like “just stop being sad” or try to get them to do past hobbies they simply cannot ruffle up the energy to do. Here are some things you can do (and avoid) when it comes to supporting friends and loved ones with depression and other mental illnesses. Before talking about ways to help people with depression, let’s take a moment to discuss what you should not do or say. These are sometimes objective since everyone is different, but they provide a good general guideline. Helping others means never judging them. It is okay to not understand how depression works, but you should try to be at the very least, supportive. Don’t try to cure their depression, assume it will go away if they try hard enough, or be critical of how they deal with their mental illness. Try to avoid saying things like just relax and deal with it. This is only going to make them feel worse and like they can’t even do depression the right way. Don’t avoid being around them or talking to them just because you don’t understand what they are going through. And lastly, just because your friend does not return your call, does not mean you should not continue reaching out. They might not be in a place where they can talk, but they will still appreciate the gesture. A really easy way to connect and check in on someone who suffers from depression is to simply be there for them. Don’t ask them to let you know if they need anything because even if they do, they will most likely say no. They feel worthless and lack confidence. They don’t want to be a burden on others. Instead of that approach, think of something casual and fun you can do together, that they would also enjoy doing. It can be as simple as inviting them over for dinner or going out for coffee or to a movie. Asking questions about their health or showing that you are concerned about them is a good way to check in on people with depression, but always be kind, gentle, and non-confrontational. You should not make them feel judged or like they are being criticized. Instead, let them know you have been thinking about them, tell them you are concerned. Ask if there is a way you can support them. dealing with a million different conflicting thoughts in their own mind. Depression is lonely, painful, and is often devastating to people who suffer from it. The best thing you can do is be there to support your loved ones, but first you might need to know when they are in most need of help. Here are some signs to look out for. If your friend or loved one begins cancelling plans, not showing up to events, and ignoring phone calls or text messages, you might want to check in on them . Isolation and feeling detached from others is a very common sign of depression. This is often one of the first things people do when going through a depressive episode. They call out from work more often and just don’t feel like they can be social at all. It is often accompanied by no longer being interested in the same things they used to like and almost disappearing completely. Many times, depression manifests itself in physical ways, which is another way to notice it in your friends or family members. Have you noticed that they seem to have an increase in aches and pains? While this could be a legitimate pain, where it just comes from a physical condition or injury, these are some things to note when it might be mental. seem to constantly have a new thing that is hurting, or when they seem blue and low while also complaining of aches and pains could be some signs to look out for. This is something else to look out for in your friends or loved ones. People dealing with depression often go through mood and behavioral changes as a result of their mental illness. suddenly your friend with depression is becoming irritable, easily agitated, or downright angry all the time, it might be time to nurture their feelings. This can be difficult when their anger is hard to be around, but try to remember they are struggling with this more than you are, and people who push others away often need the most love and support. Just try to offer your support in a gentle, non-pushy way as this could backfire. Hopefully, if you can understand that no one wants to be depressed and that they can’t just fix it on their own, you’ll find it easier to be supportive. Listen – When someone who is depressed is venting to you, just listen. You don’t need to give advice to fix their problem. Let them talk; show them that you’re listening by paraphrasing back to them what they’ve said or by looking them in the eyes or kindly touching their hand or shoulder. Show You Care – It’s okay to show emotion when someone is being emotional around you or is demonstrating dangerous symptoms of depression. Sometimes you may have to show you care by calling in a professional if your friend is suicidal. Be willing for them to hate you to get them the help they need. Don’t Criticize – The worst thing you can do is criticize someone who is depressed. You can bet they already have low self-worth. This is not the time for tough love or that type of honesty. Just be there for them without judgment. Don’t Give Ultimatums – It might be tempting, especially when it’s a spouse or a child, to threaten and give ultimatums. But doing so could make things worse. People who suffer from depression don’t make good decisions, so they’re not going to do what you want just because they’re going to lose you. In fact, they’re more likely to push you away. Understand That Their Pain is Real – Depression sufferers are no different from anyone suffering from another disease such as diabetes or cancer. Their pain is real. Their feelings are real. They cannot just stop this from happening to them. If they could, they would. Do Not Give Advice – You’re not an experienced therapist, so keep your advice to yourself about what to do about the depression. While some things might work well such as exercise, eating right, and so forth, instead of giving advice help them do that by inviting them to exercise with you. Don’t Say That You Understand – Even if you’ve suffered from depression yourself, you don’t know how they feel so don’t say that you do. Don’t turn things around to be about you, because they’re not going to be ready to hear it until they’re in therapy. 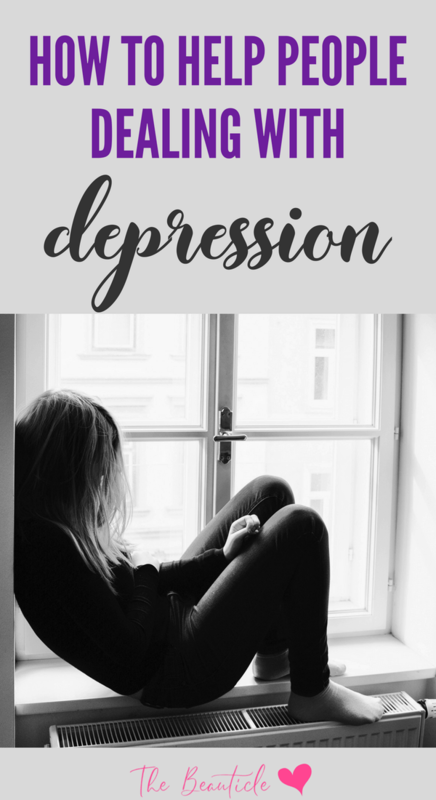 Educate Yourself on Depression – Read books and watch documentaries about depression to help learn what you can, so that you’re aware of the danger signs and can get outside help for your friend or family member if necessary. Finally, if you fear for your loved one’s life, ensure that you have the numbers to call at your fingertips to get your person help from a professional if needed.